I’m in the process of writing up notes from my two days of pure pork gluttony in Arkansas last week, but need to shoot off this quick dispatch. As an unashamed Southern California boy still in exile in New York, I’m always pining for a taste of home (honestly, half the reason I fly back to LA is for the fish tacos at Tacos Baja Ensenada). I have a routine when I travel to California. My first stop is always In-N-Out and my last stop before heading back to the airport is In-N-Out. It’s a new burger joint, just steps away from the uptown 6-train subway stop at 23rd Street. Clearly, they have In-N-Out as their model. Everything was a copy – the menu, the font, the color scheme, the red-striped tiling on the wall, the hyphenated “N” name, even the paper hats of the employees are In-N-Out ripoffs. They even tout the fact that everything is fresh and they don’t have a freezer. The only thing missing was a glass case of t-shirts for sale with pictures of California beaches. Having a blatant In-N-Out rip off in NYC both intrigued and annoyed me. I’d love an In-N-Out burger locally, but I’m not sure how I feel about the obvious copying of the entire In-N-Out restaurant. I did a quick search and it looks like I’m not the only one who has noticed the striking similarities. So, like any good expat, I decided to give it a try. The first difference is the price. A single burger will set you back $4.24, cheeseburgers are $4.74, fries are $2.60. But more striking is that a double cheeseburger goes north of $7 and a shake is more than $4. Those are Shake Shack prices. Having eaten literally thousands of In-N-Out burgers in my lifetime, I think I’m a pretty good benchmark. The Fresh-N-Fast burger is actually pretty decent, with a soft pillowy white-bread bun that compacts under the burger, crisp iceberg lettuce, and nice red tomatoes. Fresh-N-Fast burgers also have an In-N-Out-esque thousand island like sauce. But the big difference is the patty. The Fresh-N-Fast patty was bland with little flavor and a slight cardboard-like texture. 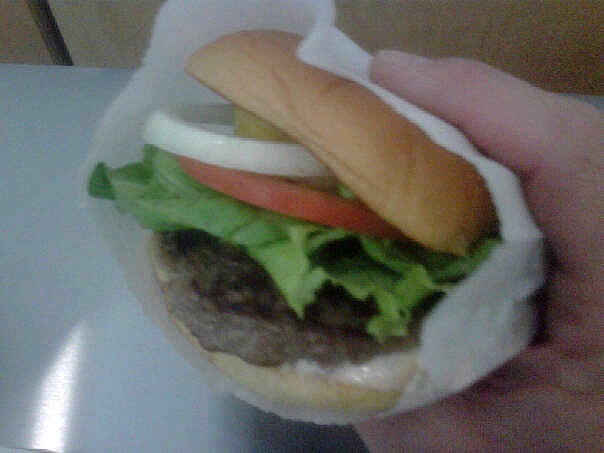 It may not have been frozen, but it still didn’t have a beefy freshness to it either (where Shake Shack excels). Don’t get me wrong, the burger isn’t terrible. It’s a competent burger, satisfies the urge and can be acquired quickly. Their fries are slightly thicker than In-N-Outs, but are similarly weak – I’ve never been a fan of In-N-Out’s fries. Fresh-N-Fast’s fries may have been a bit better, but it’s all relative to me. Frankly, if it didn’t try and rip off In-N-Out so blatantly, I’d probably think much higher of Fresh-N-Fast. But because they explicitly welcome the comparison, I have to declare that they just don’t measure up. And comparing to similarly styled burgers in NYC, I’d still give a big advantage to the Burger Joint at the Parker Meridien followed by the Shake Shack. All that said, it does have one big leg up on Shake Shack. On a sunny day, you won’t have to wait an hour for your burger. And for those of us who don’t have interns to send down to wait in line for us… that’s a big plus. I’ve had 15 half-written food posts that I’ve been sitting on – some for more than six months. So I’m going to attempt to unclog the bottleneck here with a few of these posts. They won’t be fully fleshed out, take it as you will. First is below. As I’ve noted before, I’ve been somehow successful in keeping IBM’s sports sponsorship as a small part of my communications beat at IBM. 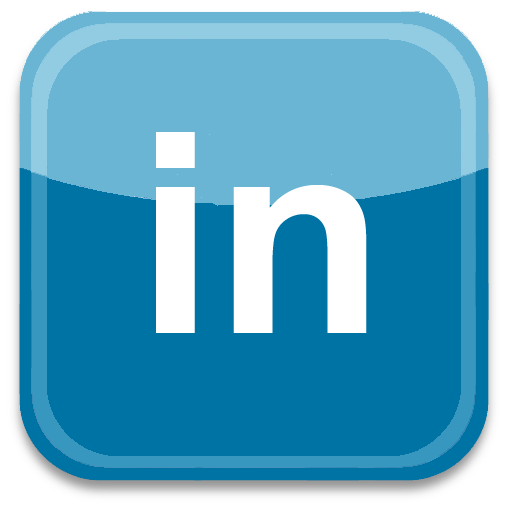 It’s great, doesn’t require a lot of time and allows me to dabble in sports PR and sports social media. One of our premier sponsorships is the US Open Tennis Championship. Held in Queens, NY at the end of every summer and, it’s one of the quintessential New York cultural experiences. And while the tennis is spectacular, and the work generally successful, what I really get excited about is the excuse it gives me to hunt for tacos in Queens. So, on my way to work at the Open on one particular day, I decided to get off the 7-Train at 74th St, and eat the rest of my way toward the Tennis Center, snacking on tacos, quesadillas, sopes and kebabs along Roosevelt Ave. Below are some of my notes. 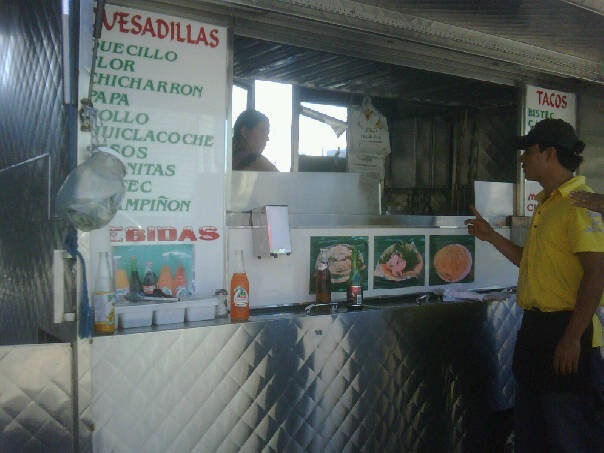 I have been to Tacqueria Coatzingo a few times before, but my last visit had been at least three years ago. I recently started a query on Chowhound for the latest in spit-roasted tacos al pastor. Coatzingo rose to the top of that discussion, so I decided to start my crawl there. As one of the few places that roasts their al pastor on a spit, Coatzingo automatically gets bonus points. The tacos al pastor at Coatzingo are very good. Deeply flavorful pork, marinated in adobo, then roasted on a vertical spit giving it a nice char. Generous portions topped with onions, cilantro and avocado salsa (this is the thin, ubiquitious Mexican salsa de aguacate, not the common chunky American guacamole). A good, solid taco al pastor. 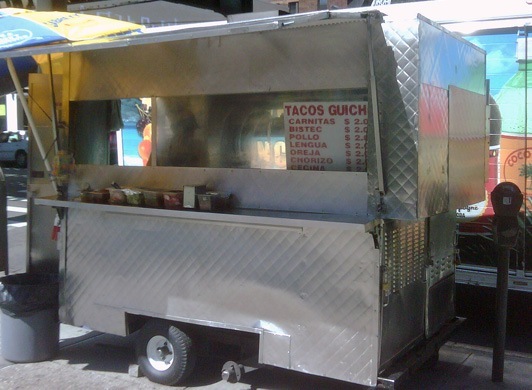 Unfortunately I didn’t take a picture and can’t remember the exact name, but this cart on the south side of Roosevelt, right at the 74th street intersection and below 7 Station puts out very good tacos al pastor. In fact, they are about as good as any non spit-roasted tacos al pastor can be. Huge portions of flavorful pork, served with chunks of pineapple, onions, cilantro and salsa de aguacate. I actually preferred the flavor of the adobo marinade to Coatzingo’s tacos al pastor, but Coatzingo’s cooking method (i.e. spit) gives it an edge. Regardless, this was a good, fat, tasty taco. Kebab King is near legendary amongst Indian and Pakistani circles. It’s a 24-hour Pakistani restaurant that has a reputation for serving some of the best, authentic Pakistani food around. I caught Kebab King at the right time – during Ramadan – which ensured small lines during daylight hours. There are probably some better places with nicer settings, but Kebab King (the Queens location, not Manhattan) holds up to any of them. Since I was on the move, I stuck to mobile food – kebabs: Lamb, beef and chicken to be exact. All three were of similar style, consisting of meat ground with spices, herbs, marinated (I think) in yogurt and chiles, then shaped around a skewer and cooked over a live fire. I didn’t see a lot of taste variance between the three kebabs, but all were good so I didn’t complain. (Note: subsequent conversations with Kebab King patrons and friends pointed me to other parts of the menu, like the tandoori fish, beef nihari, chicken biryani and szechuan goat. Some I’ve sampled since, some I haven’t. Stay tuned for another report just on Kebab King). Taking a break from the al pastor tacos I’d been sampling, I grabbed a carnitas taco from the Tacos Guichos cart at Roosevelt and 89th. While I do love tacos al pastor, carnitas (good ones, that is) probably rank at the very top of my taco food chain. Well, just under the angelic baja fish taco. This was a great carnitas taco: tender, mildly caramelized, super rich pork, overflowing the two tortillas on which its served. Garnished with onions, cilantro and salsa, it’s was a beautiful marriage making a glutton of anyone who eats it. Along Roosevelt Avenue, you’ll find any number of taco stands that sell fresh quesadillas. This particular cart had no name anywhere to be found. It sits on a lonely corner at 99th and Roosevelt on the NE side of the intersection. If, for some forsaken reason, you haven’t had a real Mexican quesadilla, it’s well worth the $2-$3 treat. Almost always made with fresh masa, they consist of large corn tortillas, pressed to about a 10-inch diameter, then cooked on a hot, dry griddle and filled with any number of ingredients. My choice for today was huitlacoche. An ingredient not all that common in this part of the country. Inky black and earthy in flavor, huitlacoche is my favorite quesadilla filling. At this unnamed taco stand, they are done very well. Huitlacoche mixed with onions, chiles and cheese. When cooked, huitlacoche almost melts, giving the quesadilla a rich creaminess that makes it a near perfect treat. Ok, so it’s not really on the way, and I’ve been going to Tortilleria Nixtamal regularly now for about seven months, but I still had to stop by on my walk over to the tennis center. I’ll spare more details for a full post (which also has been partially written for 6+ months now) but I ordered the fish tacos. Made with fresh skate that’s lightly pan fried, they are somewhat non traditional, but still very good. These are single-tortilla tacos that come three to an order (as do all of their tacos). The pictures here are from a visit about 6 months ago.